This is a great tip that every woman should know! If you are newly pregnant, postpartum, bloated, between sizes, or just had too many caramel macchiatos, then you will benefit from this life hack: How to Button Tight Pants. A friend and I were texting back and forth about all of the best fashion hacks that we use and love and she mentioned the elastic hair tie pants hack. I told her that I loved that one and used it often during the first trimester of both of my pregnancies–and postpartum when I was trying to get back into my original size. Her response? “Me too. Now I just call that a regular Monday!” Ha! 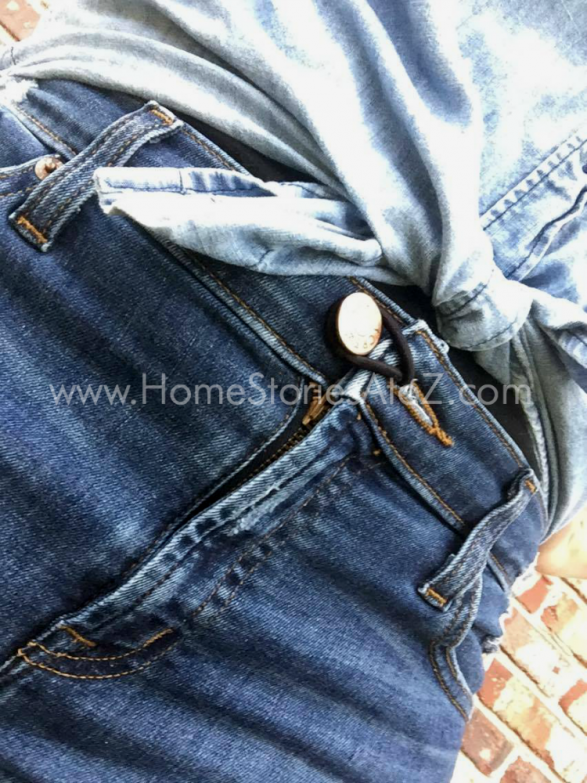  Whether you are pregnant, or it’s just a “regular Monday”, this is a great trick to add to your life-hack-arsenal that will help you secure jeans that pinch at the waist. 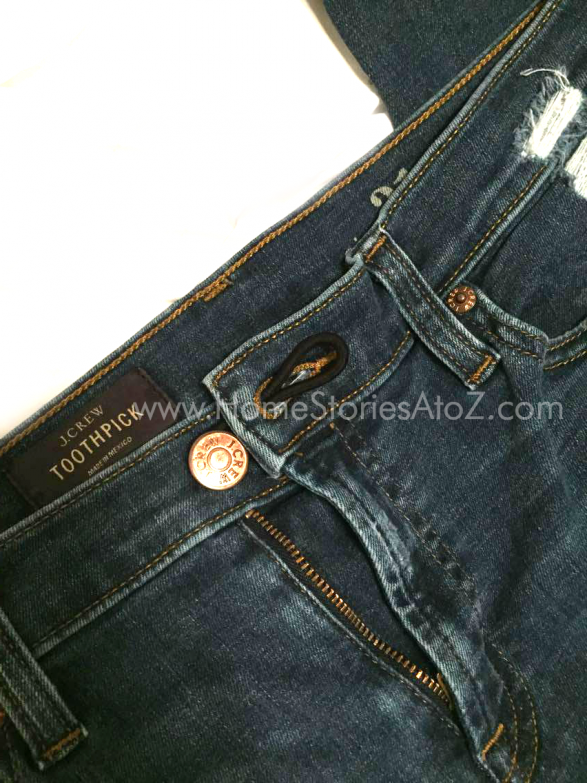 Let me pause for a moment and point out the irony that the jeans we are using today happen to be J.Crew Toothpick jeans! Well, for times when you are feeling anything-but-a-toothpick in your J.Crew Toothpick jeans, grab a hair elastic and try this fashion hack. Step 1. Use a hair elastic that closely matches the color of your pants and loop it around your button. Step 2. Thread the hair elastic through the buttonhole. Step 3. Loop the elastic back over the button and secure. This will ensure that your pants stay closed but will give you the extra inch you might need when pregnant/bloated/between sizes. That’s all there is to it! This is what your jeans will look like with a tucked-in shirt. Wow! What a difference a little hair tie and some ingenuity makes! 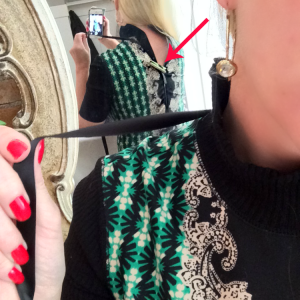 If you liked this tip, then I know you will like my quick tip on How to Hide Bra Straps. Sign up for my newsletter and stay informed on all of my tutorials, tips, decorating advice, and recipes. 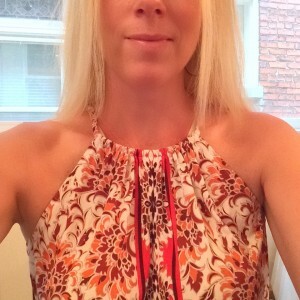 I love how awesome that dress looks on you!!!! 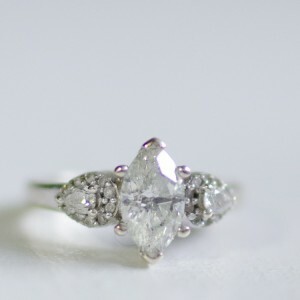 I hope I can find it at a store I know and get it for soneone I know. What if your bra straps aren’t long enough to do this? Mine only have less than an inch of slack lett. Hi Carol, I’ve found that the clips work best if your bra has skinny straps with enough slack. I can only use the clips with a few bras that I own. This trick unfortunately won’t work with every bra or every body type. There is a much better way to do this that gives you a lot more room. If you put the hair tie through the buttonhole then pull it through itself to secure it, you can then loop it around the button and you get at least a couple inches out of it. That’s what I did when I was pregnant and I could still wear my jeans all the way up to delivery day. Yes, I did it that way when further along in my pregnancy and it worked great! This way doesn’t give you quite as much room but is good for early pregnancy and postpartum (or just when bloated or cramping). You posted 10 tips, but only allow access to two before being asked to subscribe. I think this is duplicitous. I won’t be looking t your posts again. I’m not sure what happened when you were on my site, but it sounds like there may have been a functioning error in my pop-up. Thanks for letting me know. My subscription pop-up doesn’t hold my content ransom and you should be able to just click the “X” to close it. It also shouldn’t show up again unless you clear your browser. Since you’re leaving this comment on one of the 10 tips, I’m guessing the click to close clicked through to this post. All 10 tips can be found here if you’re interested. 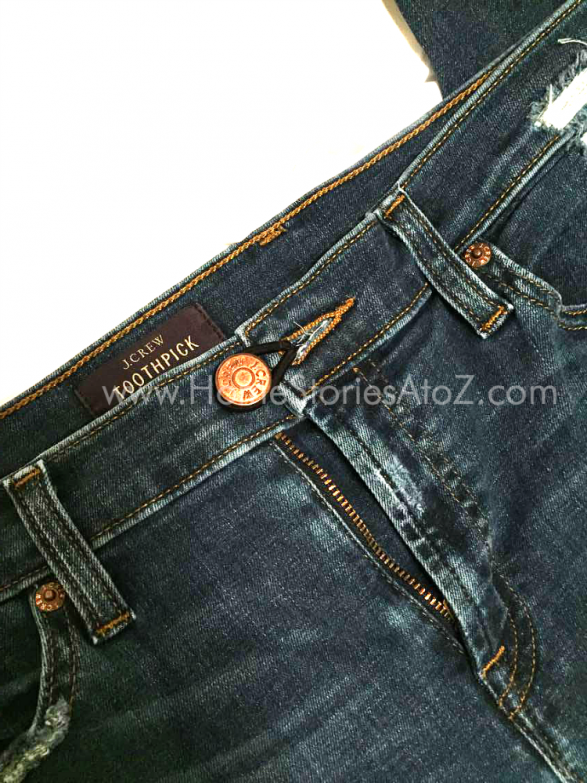 http://www.homestoriesatoz.com/tips-2/10-clothing-hacks-every-woman-should-know.html Sorry for the inconvenience. Same problem as Elizabeth. Only got 2 hacks. Ha! I just did this today!! Glad to know I’m not the only one! 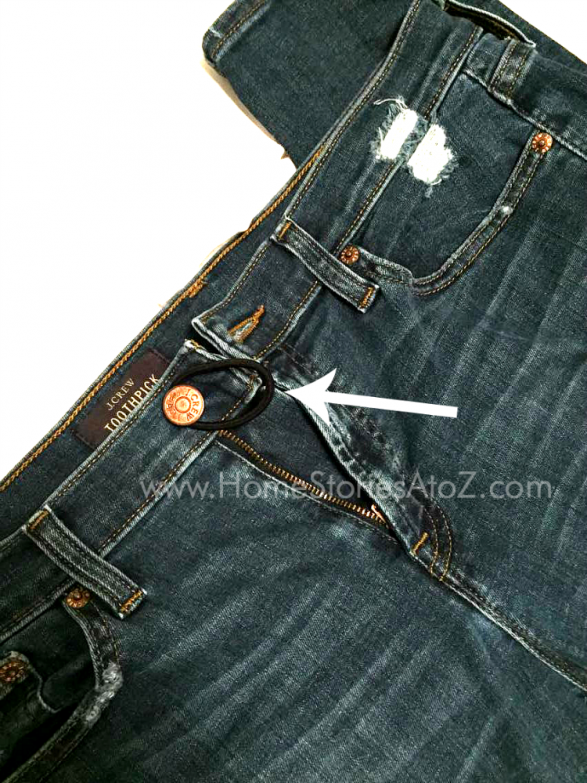 Extra tip: If you have problems with the zipper falling down, take a key ring and thread it onto the hole in the zipper tab and loop it onto the button before either buttoning your pants up normally or using the elastic. Thanks! I often have that problem for some reason. Now I’m sitting here counting in my mind how many pairs of jeans I will be able to wear, that I was keeping for “when” I lose a few lbs. Great Ideas! I am always lying down on my back, on a flat surface. It makes my stomach go down, and then I can button it up. This is totally genius. How come I never knew this. Love.